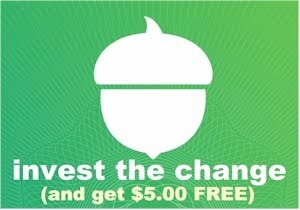 Shnoop has a fantastic deal: get a set of ALL SIX of these anaMalz for $21.99 minus $2.00 promo code DAILYCHEAPSKATEANAMALZ = $19.99 with free shipping. 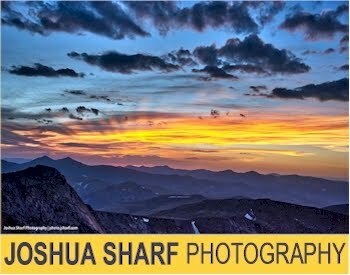 Make sure you enter the promo code DAILYCHEAPSKATEANAMALZ at checkout to get the discount! anaMalz generally get rave reviews and are usually much more expensive (for example, check out the Triceratops here on Amazon). 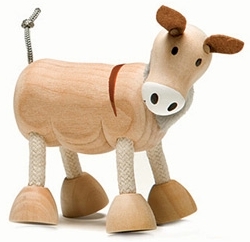 They are pose-able Australian wooden toys made from sustainable needlewood and have won over 15 Toy and Design Awards. Description: anaMalz are the leading and award winning eco & pose-able animal figurines made from wood and plush materials. A hand made collector range, each piece has it’s own unique markings that make anaMalz unique and individual. 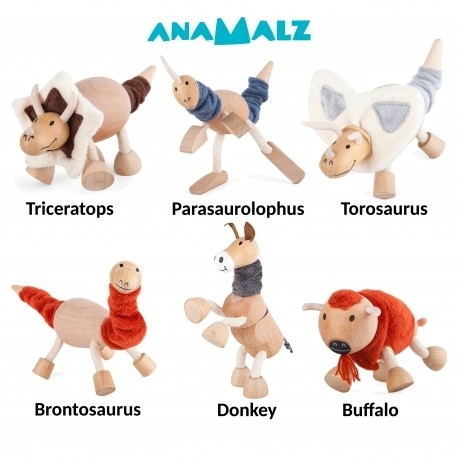 anaMalz are tested and approved for ages 2+ and up, they also appeal to collectors, animal enthusiasts and are great for spontaneous gift purchases. anaMalz are made from a wood known as schima superba or “needlewood” (also known as Chinese Maple) – a fast growing tree harvested in a forest plantation in China. All waste wood from the manufacturing process is given to a local farm to grow mushrooms. All anaMalz are carefully hand painted using child friendly paint, the glues used are formaldehyde free, the fabrics contain no AZO dyes and all materials are tested and safety certified to the highest international standards including EN71, ASTM, CPSIA accreditation. Grab this very high-value toy deal before it sells out!